Australian company Seeley International has acquired Denver’s Coolerado Corp., the manufacturer of a highly energy efficient, indirect air conditioning unit. Seeley International is Australia’s biggest manufacturer of air conditioning units and also has its own line of energy-efficient cooling and heating equipment. With the acquisition of Coolerado’s Denver-based manufacturing facility, Seeley International intends to boost its North American operations with a multi-million dollar capital injection designed to increase product availability and customer service. “The addition of Coolerado’s innovative and award-winning products to our portfolio demonstrates our commitment and leadership in providing energy efficient air conditioning products,” said Frank Seeley AM, Seeley International’s founder and Executive Chairman. The terms of the acquisition agreement were not disclosed, but Seeley said that Coolerado’s indirect evaporative air conditioning products will become part of Seeley’s portfolio that includes the trusted brands, Breezair, Convair, Coolair, Braemar, and Climate Wizard. “Climate Wizard and Coolerado, which are both award-winning indirect evaporative air conditioning product lines are complementary, offering the best hyper-efficient air conditioning solutions in the world,” said Mr Seeley. “Coolerado’s customers will benefit from Seeley International’s market experience, product line breadth, financial and customer service strength, and its commitment to innovation,” said Tom Teynor, Coolerado’s Chief Executive Officer. 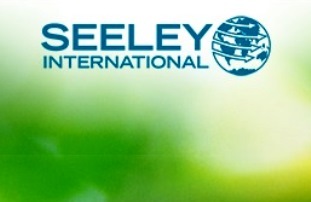 Seeley International is an Adelaide-based private manufacturing company that has offices in six countries, including a sales office in Phoenix. The company sells its products in 100 countries and has around 400 employees.